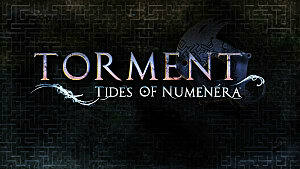 There’s just over five weeks to go before we can get our hands on Torment: Tides of Numenera. We can’t wait, and we suspect we’re not alone. It might not seem long, but there’s plenty of time for you to go back through your RPG catalog and pick out some of those classics you never got around to playing -- or buy them for a bargain price online. It’s actually incredible how many top quality CRPGs have been released over the last three decades. There are the usual go-to titles such as Mass Effect, Dragon Age and The Witcher series of course, but it’s likely that you’ll have played at least one or two of these. And it goes without saying that Planescape: Torment should be the first thing you download if you’re even considering an RPG right now. But there are other exceptional games from the annals of history -- some older, some newer -- which all did a fantastic job of immersing you in a world. They stand out for being stellar examples of the craft, and are still incredibly playable today. 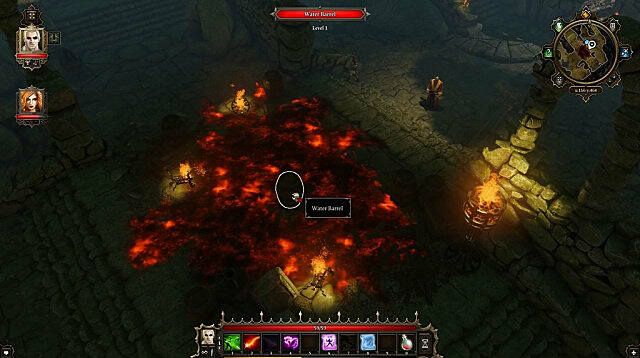 Of the three titles released by Troika Games over their relatively brief stint in the industry, Arcanum was the most successful. And rightly so -- it melded the traditional RPG landscape of Ogres and Dwarves with a Victoriana flavor. It wasn’t afraid to capitalize on a world getting to grips with steampunk technology, and the entire game was rich in atmosphere and detail. Better still, the character you ended up building would work to mold the game world. It gave you options, rather than forcing you down specific paths that players would have to tread in a conventional RPG, regardless of their choices. How your character looked, what deeds you’ve done previously, and even the items in your possession could all work to open or close branches of dialog or even entire quests. In addition, an entertaining campaign let you approach it in whichever way you wanted. Steal, deceive, help, ignore -- you could tackle quests pretty much however you liked. There was so much content here that it was entirely possible to play through the game numerous times with different builds and have almost an entirely unique experience. 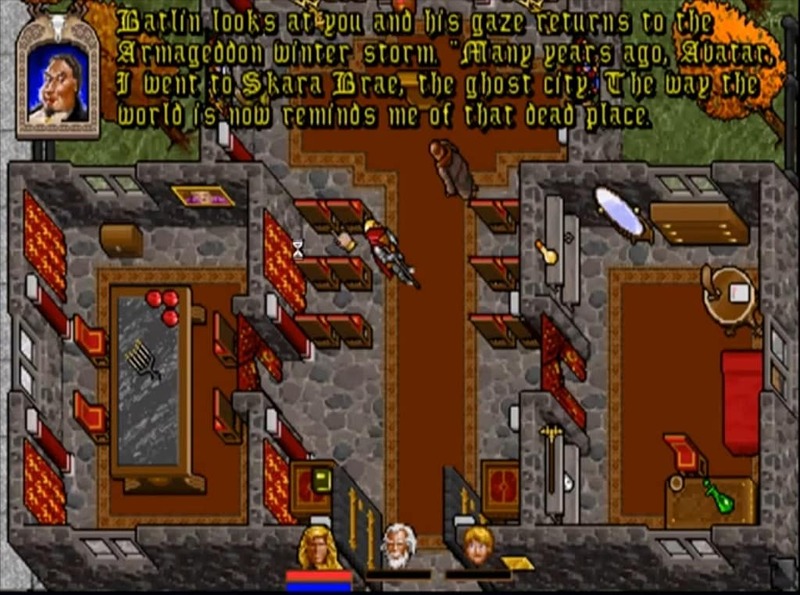 Even by today’s standards, Arcanum took role-playing to another level. Like Temple of Elemental Evil and Vampire: The Masquerade - Bloodlines which followed it, Troika's first game had its share of bugs. The playing area was fairly stingy, and the graphics have definitely dated. Fifteen years on, though, a dedicated fanbase has patched up pretty much all of the biggest problems, and the game can be bought for pennies. You’ll struggle to find a truer role-playing experience. It may be the most recent release on this list, but Original Sin’s roots lie firmly in the CRPGs of old, not least Larian Studios’ own Divine Divinity and its sequel. But where those games offered enjoyable romps through familiar territory, it was this Kickstarter-backed gem which realized the studio’s vision. Free from the restraints of an external publisher, Larian created a joyously self-referential march through a campaign that kept its tongue firmly in its cheek. While combat is often the weakest aspect of many games in this genre, Original Sin excelled at it in almost every conceivable way. Battles were strategic, interesting and fun. The environmental effects -- which had been talked about with some buzz ever since the fundraising campaign kicked off -- actually worked. You could tip over barrels of oil and set fire to them. You could bring down lightning on pools of water (or blood!) that your enemies stood in, and electrocute them. You could ignite poisonous gas clouds with a whoosh of flame. And instead of dreading encounters, you actively looked forward to them, wondering what kind of goodies would be scattered around the battlefield for you to play with. Experimentation was key, not least because you weren’t handed everything on a plate. In truth, you were told very little indeed -- and for good reason. Larian wanted you to discover things yourself, to tinker and prod at the game’s mechanics and work out what you could do. Can’t get through a door? Find a key. No key available? Smash it down. Is your warhammer broken? Cast a fire spell at it. This is one tiny example of the huge amount of choice available to you. Most quests offered numerous solutions, and the game world itself was like a massive Easter egg, tempting you to try things you wouldn’t dream of in any other RPG. How about stealing from a character by distracting them with another party member first? Or trading with a guy you know you’re going to end up killing, and then looting his body afterward to get your cash back? Even conversations were unique, thanks to an intriguing rock-paper-scissors system that made influencing a character far more involving than just having a higher stat than they do. This even worked in co-op -- which Original Sin did surprisingly well -- but you couldn't go in expecting to agree with the other people you were playing with. And you had to be prepared for the consequences of them stabbing you in the back. Metaphorically and literally. Oh, and if you had the Pet Pal skill, you could talk to animals. Some of them would even give you quests. That alone is worth the price of admission. 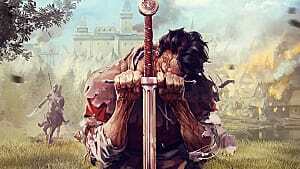 As great as it is, Divinity: Original Sin wouldn’t have existed without Ultima VII. It might have predated Larian’s creation by 22 years, but the mechanics in The Black Gate (and its sequel, The Serpent Isle) were the precursor to many other RPGs, including the likes of Oblivion. Natural day and night cycles, where people actually went about their business like normal humans? Townsfolk opening doors rather than just passing through them? Characters actually taking note of what you were doing and commenting on it? You saw it here first. Original Sin may have set out its stall offering freedom, but Ultima VII was the daddy. 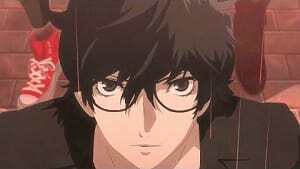 Do you want to wander around town, killing anyone you fancy? Or perhaps you’d like to hook up with some locals instead? Both options are totally on the table. Although, when you’re thrown into a story investigating a double homicide right from the very beginning, you’ll be hard-pressed to drag yourself away. The narrative was captivating, and expanded almost into a treatise on cult-worship, long before the likes of Scientology had entered mainstream consciousness. The level of interactivity was staggering, too. You could pick up or interact with almost anything that you could see, as long as it wasn’t obvious scenery, or too big to move. Your party would need feeding and would prompt you to do so -- and the food would be exactly what you would expect, and in exactly the place you’d expect it. You’d get beef from cows, make bread from flour and find fruit in orchards. If you drank too much, you’d be sick. If you came across a grim scene, certain party members would announce their queasiness. It seems silly, but little touches like this added to the realism of the world, and are surprisingly overlooked today. 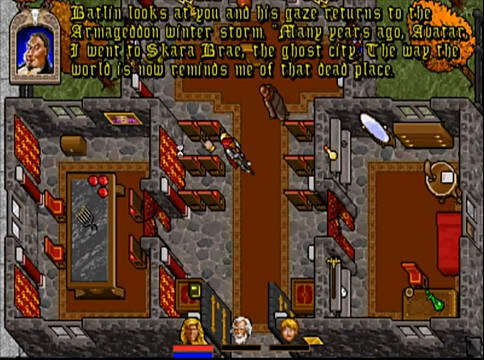 So great was its influence on the modern CRPG, that Ultima VII is continually cited as one of the best examples of the genre. Certainly, many of the elements that it contained have long since been improved upon -- not least, the inventory, which Original Sin unfortunately emulated. Yet its branching dialog trees, intriguing quests and almost limitless scope for exploration still put the majority of today’s adventures to shame. 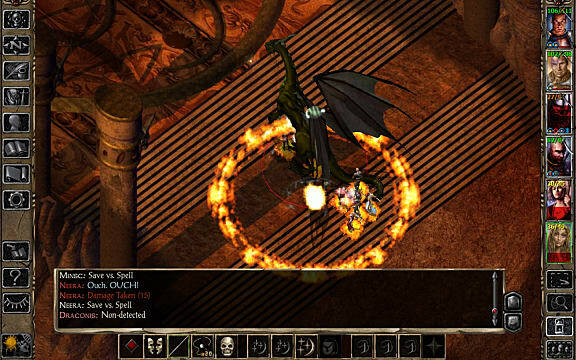 The original Neverwinter Nights was a great game, but served mainly as a showcase for the development tools available to build a realistic D&D campaign. 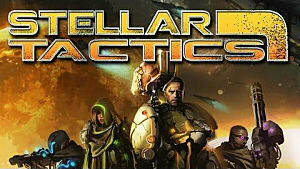 For lone players, it offered a fairly unoriginal RPG experience, though not without BioWare’s usual charm. 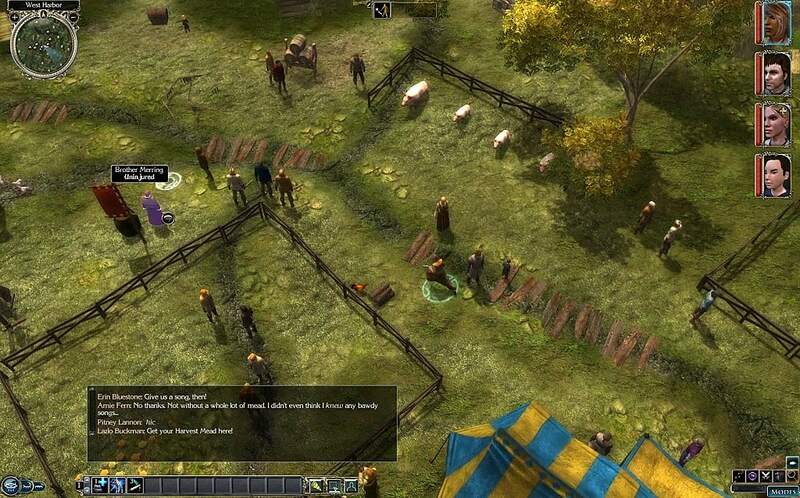 The sequel’s reins were handed to Obsidian, who promptly assigned Chris Avellone (amongst others) to develop the story. What felt like a ponderous start soon gave way to an imaginative tale, backed solidly by a faithful representation of the 3.5 Edition ruleset. Fleshed-out, controllable party members -- conspicuously absent from NWN -- were added, and the interface was given a severe facelift. In fact, almost every aspect of the original game was improved upon, aside from the inventory system which did its best to frustrate. 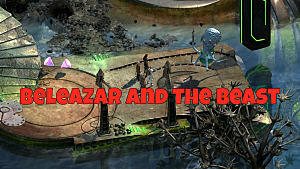 Multiplayer and the editing tools were included in the overhaul, and offered a depth of creative flexibility that has rarely been bettered today. There are literally hundreds upon hundreds of hours of content here for anyone who wants to put in the time to create a campaign for their friends to play through. Yet, it’s the single-player campaign’s worldbuilding that draws you into Neverwinter Nights 2. There is political intrigue aplenty, mysticism and betrayals, and a sense of a palpable, living city. Your companions will respond to your actions, further cementing the game’s D&D backbone. Annoy them too much and you’ll potentially lose them, or have them turn on you. Like the best RPGs, choices which seem black-and-white are rarely so, and your ascension to hero status doesn’t feel forced. In fact, we’d go so far as to say that in terms of improving on the original, Neverwinter Nights 2 ranks as one of the best RPG sequels that we’ve ever seen -- well, except for the next entry in the list. Even by today’s impressive standards, Baldur’s Gate II towers above almost every other CRPG on the market. The first game (almost twenty years old!) 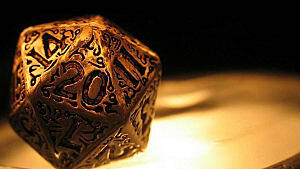 was tremendous fun, encapsulating the D&D ruleset in a thoroughly entertaining manner. 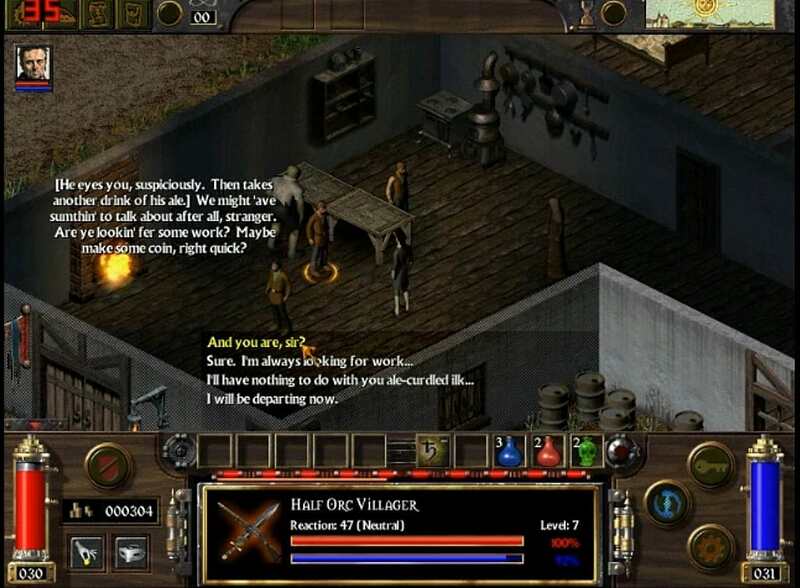 It kickstarted the genre from stagnation, and was responsible for the creation of the Infinity Engine which went on to be used in classics such as Planescape: Torment and the Icewind Dale series. 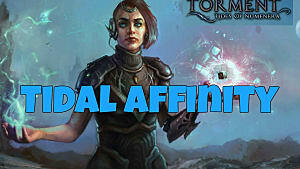 But it’s with Shadows of Amn that BioWare really got to grips with their new technology. The graphics were improved immensely thanks to a bump in resolution, and the city of Athkatla became a sprawling hub of menace and wonder. Each area had oodles of side-quests, taking you to elaborate mansions, creepy mausoleums and booze-soaked taverns. Suspicion and menace lurked from every shadowy corner. Combined with the ambient music, it evoked a Middle Eastern atmosphere, albeit one with giants, dragons and a thieves’ guild. 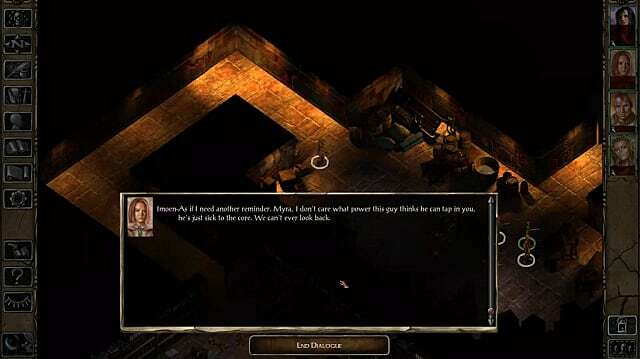 Players of the first game could import their party, although the introduction to Shadows of Amn brutally dispatches a couple of the first game’s characters in a shocking plot point right from the start. Thankfully, one of them was not Minsc, since the fan-favorite berserker and his giant miniature space hamster were a notable highlight. Where the sequel shined was in the detail. Sure, there may have been a few fetch quests, but most of the tasks you were given were both interesting and took you to exotic locations as you hunted murderers and investigated vampiric attacks. Additionally, you were often asked to take sides with no inkling of which the “right” choice was. In most cases, there wasn’t one. You had to go with your gut, and hang the consequences -- the true essence of role-playing. That BioWare could sustain this level of storytelling for so long is extraordinary -- in some cases, people clocked in over 200 hours. But the fact that you never got tired of discovering new areas, solving new riddles, obtaining wondrous new items or uncovering new plots? That was the real achievement. To date, we can’t think of another CRPG that kept dragging us back for more in the same addictive manner as Baldur’s Gate II. And in some respects, we’re grateful for that. We have lives, you know. 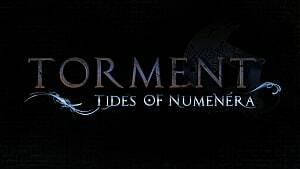 So sure, there are still five excruciating weeks until Torment: Tides of Numenera hits all of our respective desktops, but these CRPGs are bound to have one thing or another that will scratch that RPG itch until then. It never (ever) hurts to try something old to experience something new. 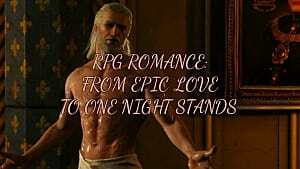 What other expansive CRPGs do you love to play? Is one of your favorites one of those mentioned here? Let's us know in the comments below -- we'd love to hear what you've got to say!